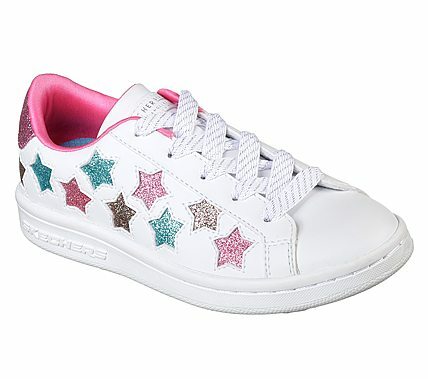 Wishes for pretty and classic sneaker style do come true in the SKECHERS Omne - Lil Star Side shoe. Smooth matte or metallic leather-textured synthetic upper in a lace up classic sporty tennis-style sneaker with glitter star designs. Air Cooled Memory Foam insole.